Highly-Qualified Attorney protecting those injured by unsafe drivers! Greater Cleveland's bike attorney who takes it personally when a fellow bicyclist is injured by an unsafe driver! Knabe is committed to road safety and protects those seriously injured in crashes caused by unsafe drivers. Knabe Law Firm protects families who have lost a loved one due to an unsafe careless driver or condition. Century Law Office Building on Madison Avenue w/ free parking. We answer the phone! Free initial consult after hours & weekends. We supports safety w/ sponsorships, education and legislation. Free initial consultation; All fees contingent upon success! Over $50 million in settlements & verdicts. Over 70 jury trials! I hired Lakewood Attorney Ken Knabe after being involved in an automobile crash. A former client of his highly recommended him to me because he took her matter to trial and won big. Also, a friend of mine, who is a long time local county judge, highly recommended his services and confirmed his stellar reputation. I was very happy with his services. He wrote a comprehensive letter on my behalf which resulted in a favorable settlement. He contacted my medical providers and obtained pertinent reports which helped my claim against the at-fault insurance company. He was thorough and diligent. I highly recommend him for anyone in an auto crash. 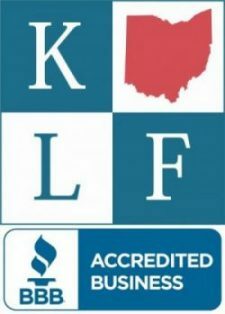 Greater Cleveland's Highly Qualified Attorney protecting those injured in accidents caused by unsafe drivers. Kenneth Knabe, Greater Cleveland's Highly Qualified Safety Advocate Attorney protecting fellow cyclists and others injured by unsafe drivers. Proudly supporting Cleveland's bike community through sponsorship, donations, publications, presentations, legislation and education. Knabe Law Firm Co., L.P.A. 14222 Madison Avenue, Lakewood, Ohio 44107. About Knabe Law Firm Co., L.P.A.